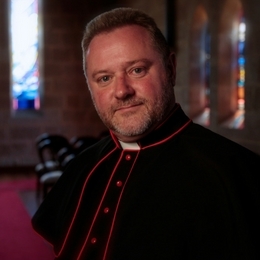 The Venerable Rod Bower is an Anglican priest, Rector of Gosford where he has served for 19 years and Archdeacon of the Central Coast. He is an ambassador for the Refugee Council of Australia. Fr. Rod is a passionate advocate for a number of social justice and human rights issues, including marriage equality. He believes that our treatment of Asylum Seekers, the lack of action on climate change and the failure to adequately recognise First Nations people damages our corporate soul. It has been said the he takes “a hard line on compassion”, he is committed to building society that is just. Fr. Rod is married to Kerry, also a passionate advocate for Asylum Seekers; they have two married children and three grandchildren. Fr. Rod received the 2016 Doha International Award for Interfaith Dialogue and was named Abyssinian of the year by the Muslim Community.